If you subscribe to the blog, you already know about my new Zazzle.com storefront for the blog. In fact, all subscribers have been enjoying some nice discounts (30% or more) on the new ATFT apron and luggage tag since Monday. That’s when I sent out my first quarterly newsletter. The sale goes off today, but, if you aren’t a subscriber, please subscribe now because more goodies are coming soon and there will be more early discounts for you. In addition to luggage tags (travel) and aprons (taste), there are mugs, totes, mouse pads, journal covers and kitchen towels. I’ll be adding plenty more products soon, so get yourself on the list. You can check the storefront any time for new merch, plus you can keep up with all my new books on my Amazon author page. In fact, I have a new book coming very, very soon. It’s a collection of all the Photos for No Apparent Reason (PFNARs) from the entire year of 2015 plus all the location, date and backstory details about each one. If you’re a subscriber, you’ll get a discount on that, too. 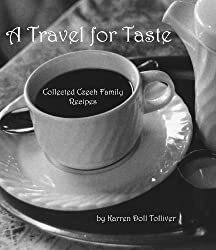 You can also check on both storefront items and books any time by clicking the “Shop A Travel for Taste” link on the top menu bar above. It will always have the latest and greatest. Remember my stuff for holiday shopping! 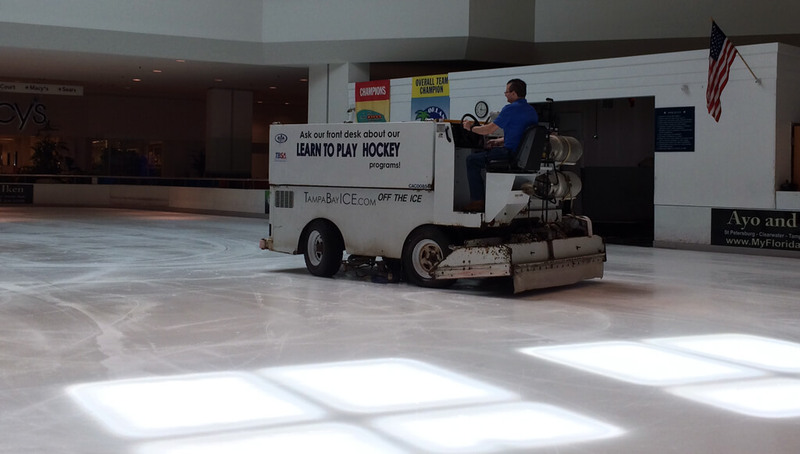 Here’s another post in the “Denver suite” of articles. 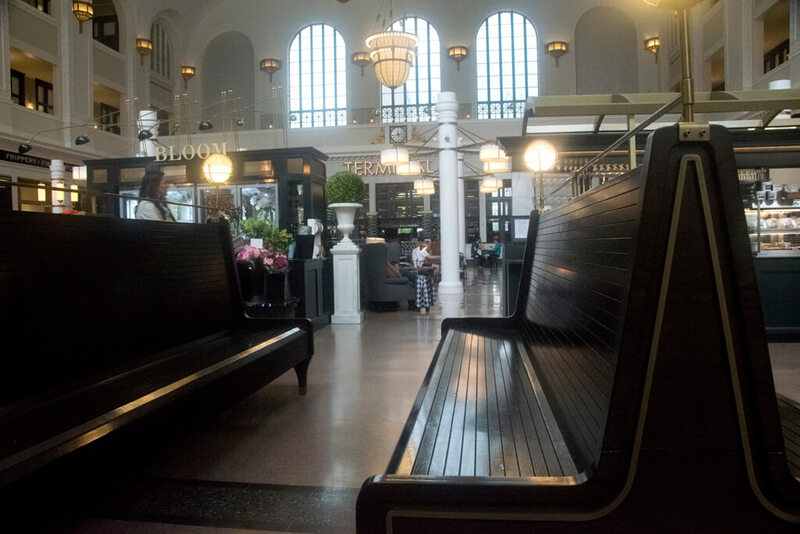 This week it’s the beautiful Denver Union Station. I visited it for the first time back in 1993. At that time it seemed a part of a rather stagnant neighborhood. 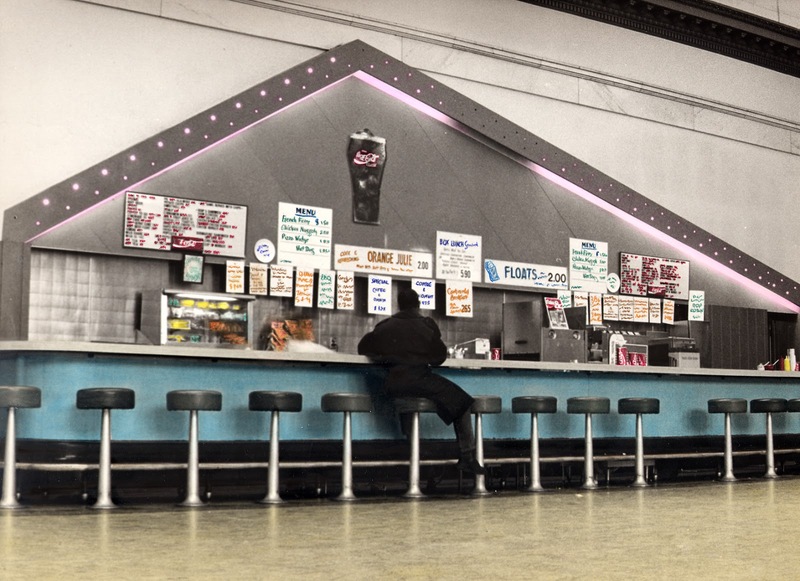 I took this photo at the snack bar inside and handcolored it. It was easy to get the shot because practically no one else was around. In fact, they offer tours of the hotel and train station on weekends. I’m dying to stay there and do the tour. You can bet I’ll report back about what I find! 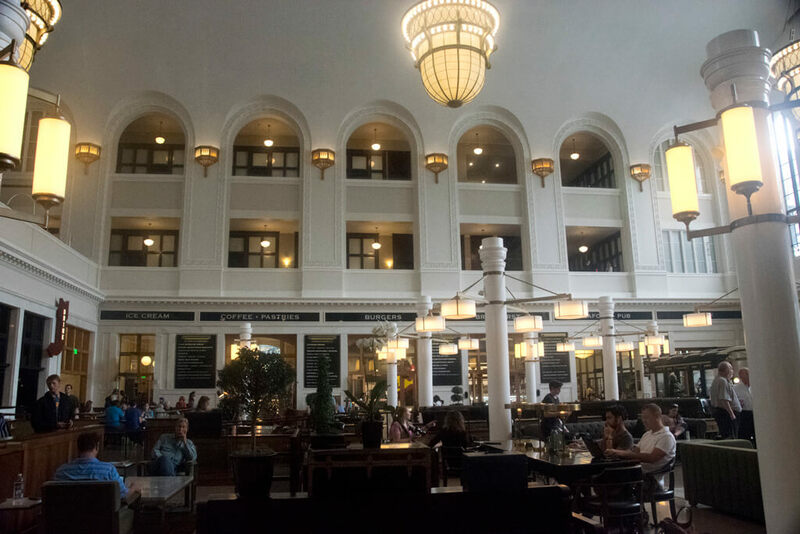 Also inside the station are nine scarfing establishments, including a cafe, a bar and an ice cream parlor plus several restaurants. 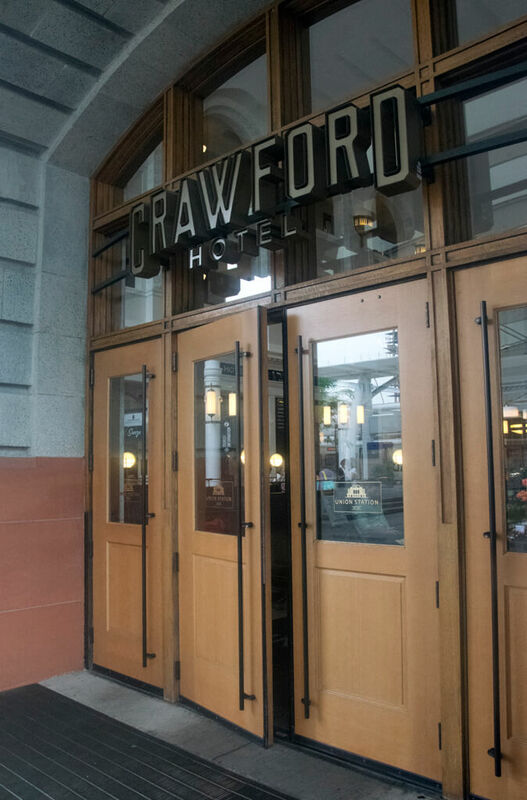 My husband and I ate at The Kitchen Next Door – I was surprised train station food was so good – and they served craft beer. There is a bookshop, a florist and a gift shop, too. The original building was built in 1881, but there was a depot there since about 1865. Imagine the Old West train station! The first building burned in 1894 due to a faulty electrical system in the ladies room. Electrical system in ladies room? What were they doing in there??? The current building was built in 1914 and has Beaux Arts Classicism and Italian Romanesque architectural features. The plaster arches that line the walls of the Grand Hall have 2,300 Columbine flowers carved in them. In 1902, police began enforcing a “no kissing” rule on the train platforms because it slowed down the trains. During World War II the passenger traffic grew to about 24,000 people a day. In the late 1980s they upgraded the train platforms and canopies. 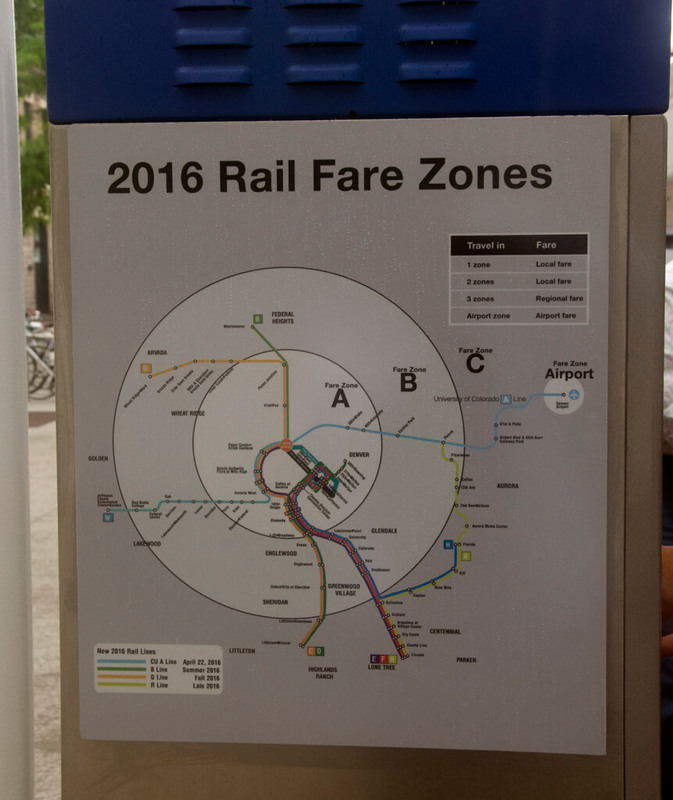 In 2001 the property was purchased by RTD. 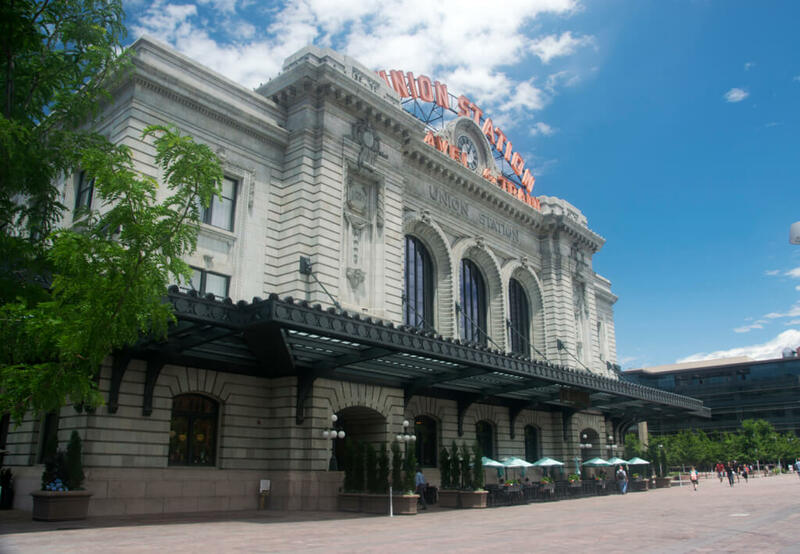 It was designated as a Denver historical landmark in 2004. 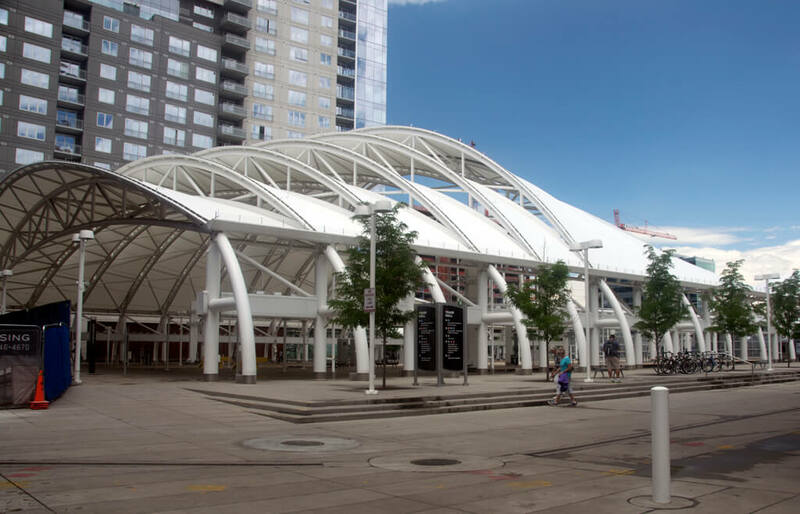 In 2009, DUSPA (Denver Union Station Project Authority) formed, which is responsible for maintenance and redevelopment of the station and about 20 acres of surrounding land. Highrise office and apartment buildings are being constructed just next to the station. The facade of Union Station was cleaned and repaired in 2013. The building is supposedly haunted. You can rent the Grand Hall and other areas of the building for events. There is a big New Year’s party in the Grand Hall, as well as Oktoberfest and Halloween parties. These regular events are usually sponsored by the vendors in the station. 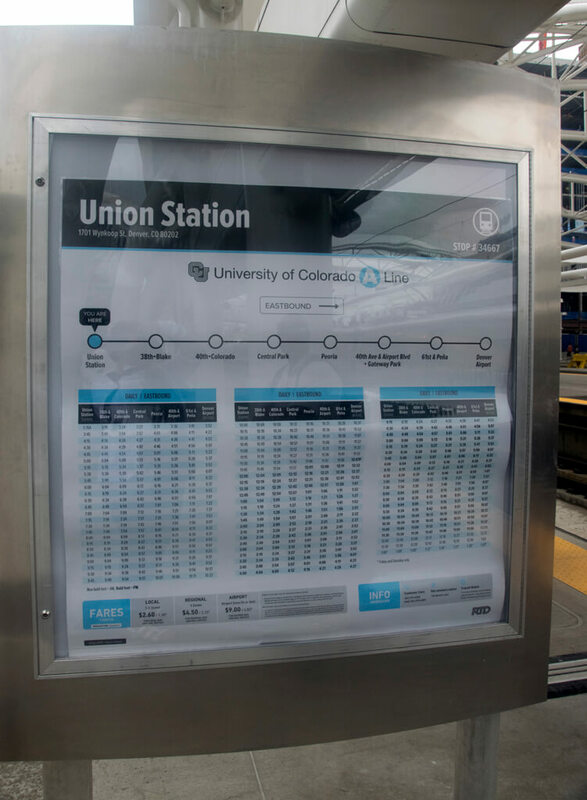 Amtrack trains stop at Union Station plus it’s the central station for the local RTD bus and light rail lines. A free bus to the 16th Street Mall shopping district originates here, too. More lines are planned in the coming years. 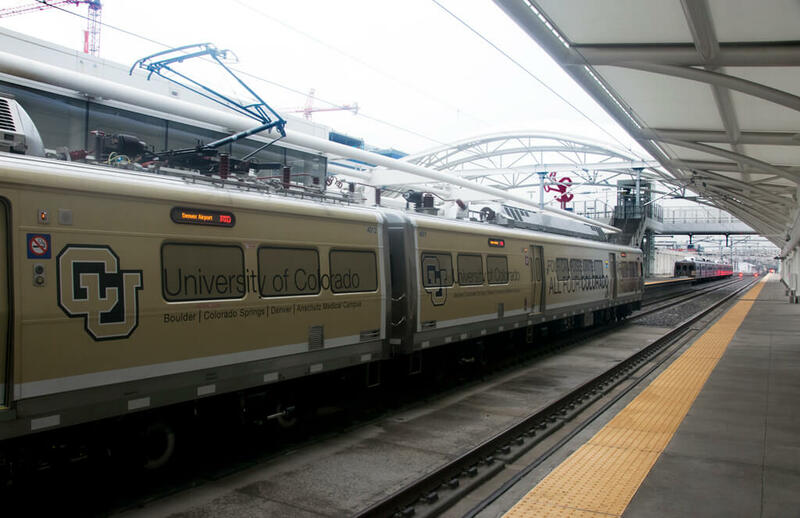 Speaking of local lines, in the back of the historic Union Station building there is a brand-spanking new bus and light rail station, all glass and steel and modern. Compared to the Munich train map, this one’s a snap! 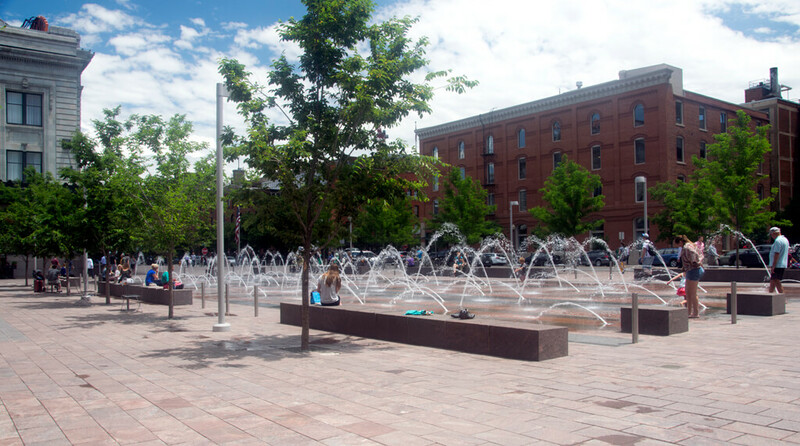 On the front side of the historical building there is a splash pad to enjoy. And they apparently have lots of free community events, concerts and holiday parties in this open area. Sounds like a great place to live. I could go on about the history and modern story of this train station, but I already sound a little like Sheldon Cooper. I’ll just give you this link, which has some very cool historical photos of the place. It all makes me want to ride the rails!